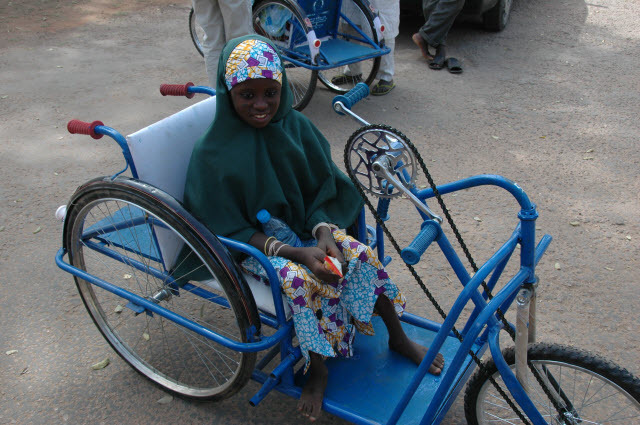 This project will purchase the equipment and supplies needed to construct 500 wheelchairs for polio survivors in the polio endemic northern Nigerian states of Adamaw, Bauchi, Borno, Gomba, Kano, Kaduna, Katsina, Taraba, Nassarawa, Plateau, Jigawa, Yobe, and parts of Kogi. The wheelchairs will give the polio survivors mobility, as a wheelchair is a first step in providing independence for a physically disabled person, especially in a region where corrective surgeries and rehabilitation facilities are not available. It is especially important to get these people off the ground and restore their dignity. 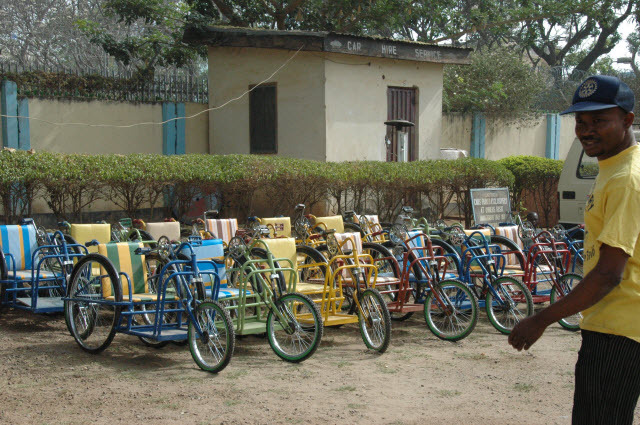 The wheelchairs provide polio survivors the opportunity to attend school, learn a trade through vocational training, or get started in a business. In fact, it is a requirement of the beneficiaries selected who receive these wheelchairs free of charge. Indeed, enabling the recipients to live productive and independent lives. We are working closely with the Handicapped Advocacy and Rehabilitation Center who is donating labor for this project. It is anticipated that 500 wheelchairs will be built and distributed eight months from commencement of the project. By purchasing and updating essential equipment such as a generator, welding machines, bending machines, etc. the project will remain sustainable after it is completed – all that will be needed is additional funding to purchase parts. 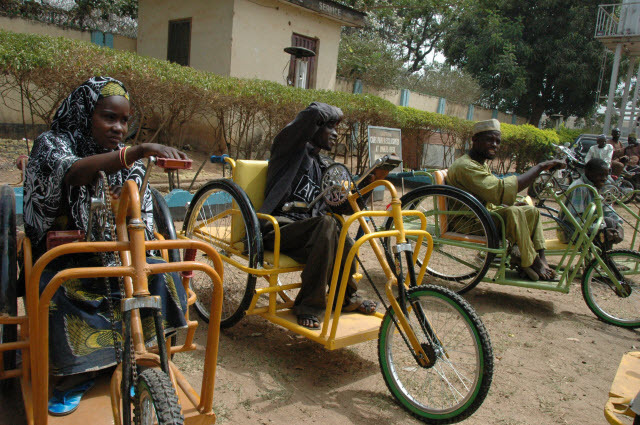 The wheelchairs are designed to survive the roads and environment of rural Nigeria. Our collaboration partners include: 1 Nigerian Rotary Club, 4 Michigan State, USA Rotary Clubs, 4 USA Rotary Districts, 3 Maine, USA Rotary Clubs, 1 New York state, USA Rotary Club, 1 Connecticut Rotary Club and the PSA Donor Advised Fund. This project was scheduled for submission to The Rotary Foundation at the end of Rotary year 2008-09 but due to funding issues was submitted July 1 2009. The grant has been approved at TRF. 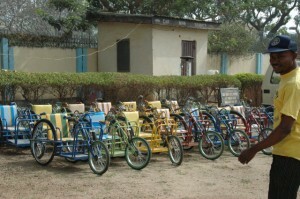 Posted in Projects and tagged bicycle wheelchair, Nigeria.